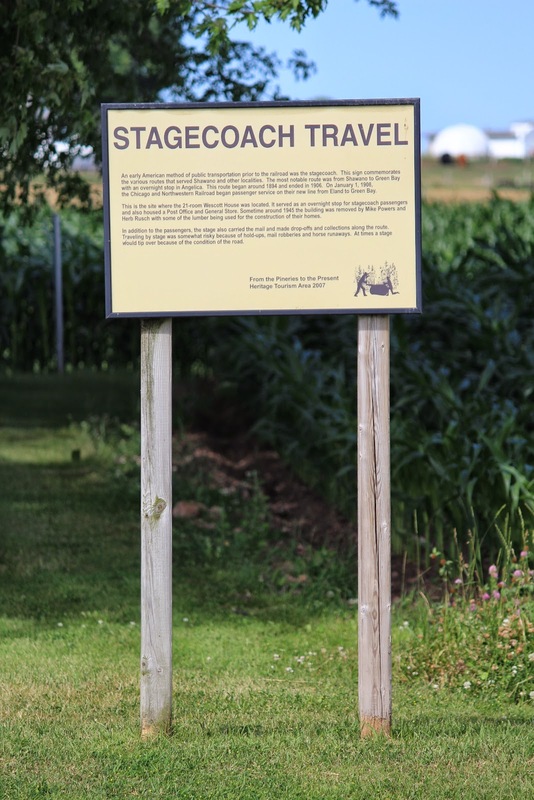 An early American method of public transportation prior to the railroad was the stagecoach. 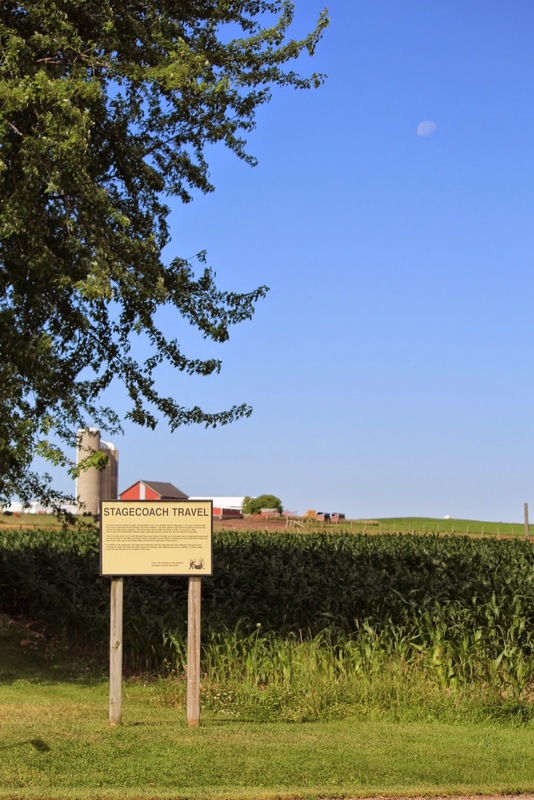 This sign commemorates the various routes that served Shawano and other localities. The most notable route was from Shawano to Green Bay with an overnight stop in Angelica. This route began around 1894 and ended in 1906. On January 1, 1908, the Chicago and Northwestern Railroad began passenger service on their new line from Eland to Green Bay. This is the site where the 21-room Wescott House was located. It served as an overnight stop for stagecoach passengers and also housed a Post Office and General Store. Sometime around 1945 the building was removed by Mike Powers and Herb Rusch with some of the lumber being used for the construction of their homes. In addition to the passengers, the stage also carried the mail and made drop-offs and collections along the route. Traveling by stage was somewhat risky because of hold-ups, mail robberies and horse runaways. At times a stage would tip over because of the condition of the road. This location is Stop No. 1 (A) on the From the Pineries to the Present: Tour No. 1. 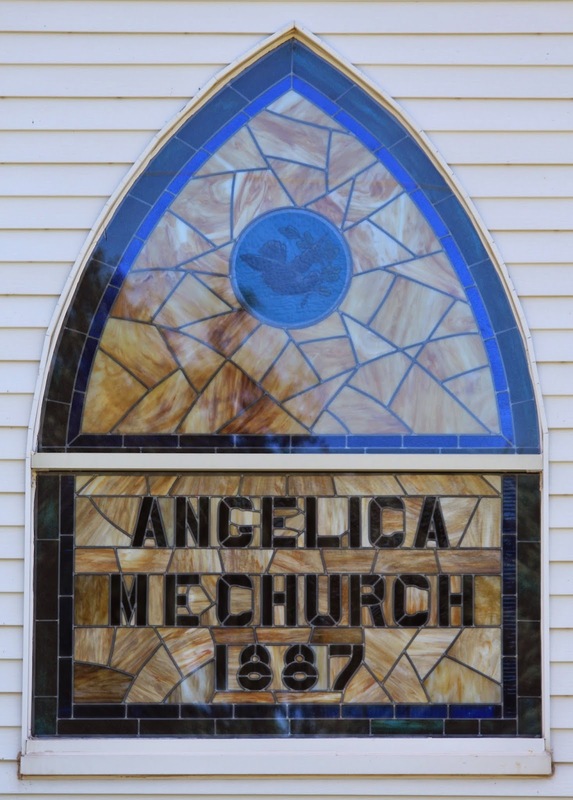 The marker is across the road from the Angelica United Methodist Church. You gotta watch for all kinds of traffic when driving in Wisconsin!